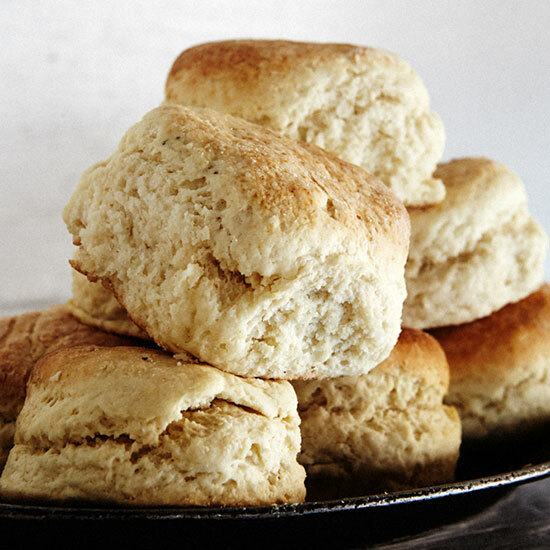 Served simply with butter and jam or topped with fried chicken or gravy, these are the flakiest, buttery-est biscuits (not made by you) in America. After mastering F&W’s Mad Genius Tips for perfectly flaky biscuits, the greatest spot in the country for biscuits will be your kitchen. But every master biscuit maker needs a morning off now and again. That’s why we’ve rounded up the best places in the country to get biscuits. Served simply with butter and jam or topped with fried chicken or gravy, these are the flakiest, buttery-est biscuits (not made by you) in America. Go to the slideshow.